Today’s Super Smash Bros. 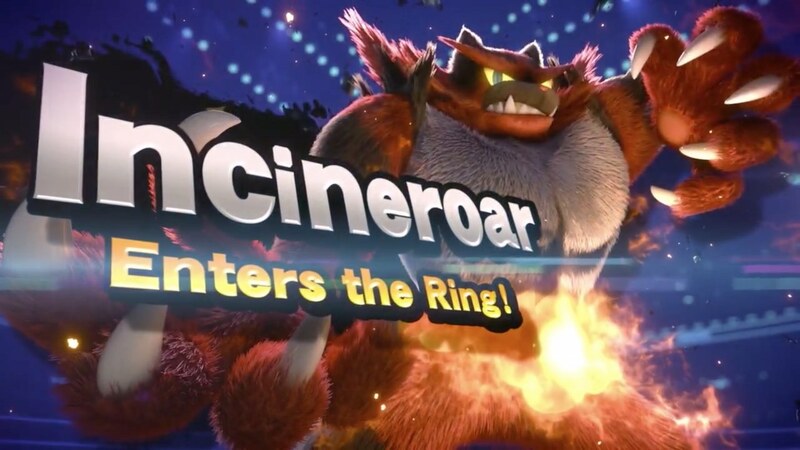 Ultimate Direct opened with the reveal that Incineroar and Ken have joined the mascot brawler’s character roster. From the Street Fighter series, Ken is an echo fighter that has similar moves to his rival Ryu but can move slightly faster and has a different-shaped Hadoken. His appearance is based on Super Street Fighter II Turbo. Whereas Incineroar was first seen in Pokémon Sun and Pokémon Moon – the final evolution of Alola region starter Pokémon, Litten. It uses pro-wrestling moves and has an epic Final Smash called Max Malicious Moonsault, which is based on its Z-Move from the Pokémon series.